Our durable, Edgeliner is now available as a rigid and rebound mini bollard. 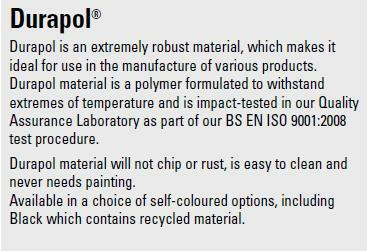 Manufactured from tough Durapol and Impactapol® materials. These low maintenance verge markers prevent people from parking on and damaging grass verges. 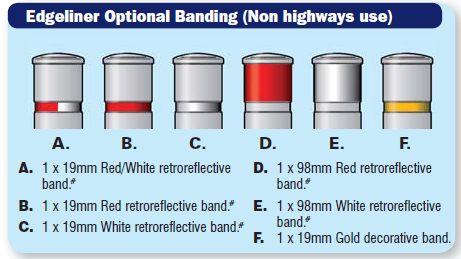 1 x 19mm Red/White retroreflective band. 1 x 19mm Red retroreflective band. 1 x 19mm White retroreflective band. 1 x 98mm Red retroreflective band. 1 x 98mm White retroreflective band. 1 x 19mm Gold decorative band. Edgeliner Bollard is a durable mini bollard to protect grass verges from vehicle damage. 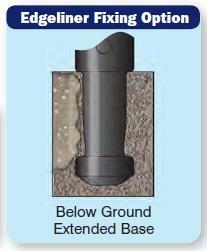 Now available as a rigid Durapol bollard and a rebound Impactapol® bollard. Rebound Bollard: Impactapol® Material. (Black only). Manchester’s new ‘Dutch-style’ cycle lanes are keeping cyclists safer with the help of new Glasdon lighting and rebound bollards.